We are writing together. 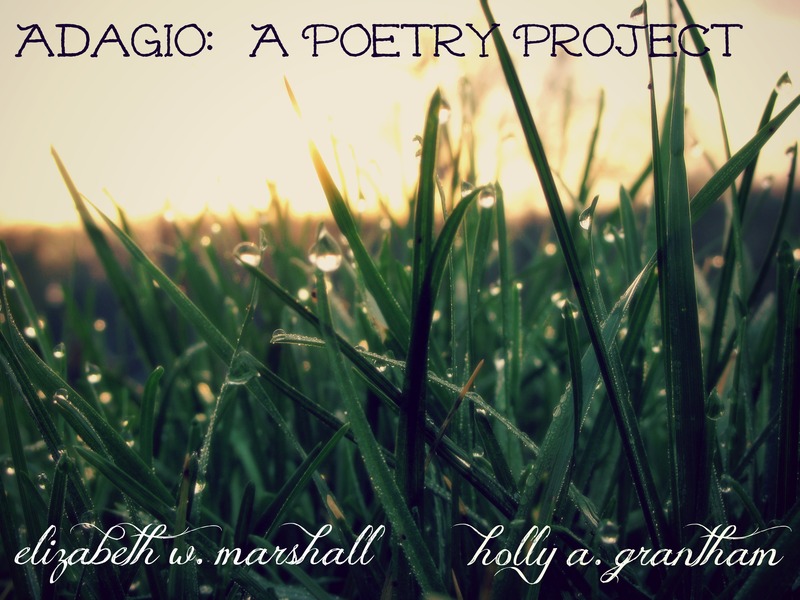 As we did a little while back( click the Adagio Poetry page tab at the top of the site’s home page). And we would love for you to join us. Holly and I and each one of you. There is a beautiful hymn, a song, sung by a friend of Holly’s. This is our inspiration for Adagio: A Poetry Project, here in this Advent Season. Here, with Christmas upon our hearts. Listen here to Born In The Night Mary’s Child. Holly’s offering can be found here, at A Lifetime of Days. It would be our hope, our desire, and it would bring us joy if you would allow us the privilege of reading your words, poetry or prose. Just add your link to your art in the comments here and at Holly’s. We are all travelers toward this Christmas Day in this Christmas Season with expectant hearts. My heart breaks with these words. May humanity be changed, friend. May it be so. Hurting and praying with you and proclaiming this Light through darkness. Oh sweet friend, I wrote this before this sad horrific event in CT. I worked on this in the morning but yesterday my heart was heavy before I knew of the sadness in CT. A friend’s son committed suicide, another friend’s son made a bad decision though not life threatening I was praying with her. So in the heaviness yet seeing hope and knowing hope, this was penned. Then this deep broken event, so dark and despairing yet for HIM. But for Jesus. And yesterday a friend died suddenly and my niece is sick and hurting.So we cling to HIm and all we know of His transformative power. And friends in Christ, like you sweet Ashley. YES proclaiming loudly the Light in the Darkness and all His strength and all His power and love. Oh, Elizabeth, I had no idea. I am so deeply sorry and am holding you in prayer. May you know his presence, his power, his love. Clinging to him on your behalf, as well. I love you, friend. The Spirit of God was blowing through out hearts while we wrote these pieces. How else could we have known what further events would transpire on the heels of publishing each of our offerings. It all just speaks to the truth of Love Come Down. We are always in such desperate need. We need that shield of love.We need hearts reconciled. We need Love. Oh friend you say it with such beauty from the overflow of your heart. Yes, yes, we need the shield of love, we need reconciliation and we need Love. Your words are a healing balm, here and always. Thank you for sharing your Adagio project with everyone. I imagine most of us write poetry for ourselves (at least I do). So, to put it out there for others to experience is risky. I’m glad you and Holly did. I enjoy each of your poems, more upon each reading. The content of Advent is so rich in meaning and varied in perspective it’s a delight to explore it in poetry. Well, there you have it. Seeing you and Holly take a shot at an Advent expression inspired me to do the same. If you’d like, you can read my attempt at the link below. Thanks. Thank you for participating and bringing your beautiful art. Your words are lovely, so lovely. Privileged and honored to have you join us. And yes yes as you say…its a delight to explore Advent in poetry. So glad you found inspiration and that you wrote in tandem with us. And again, may God be glorified by each of our offerings. Merry Christmas, friend. Yes! How wonderful that you would join us. And your offering? Beautiful. Please, share the love and continue to join us as we journey together. We are so grateful for your presence here.